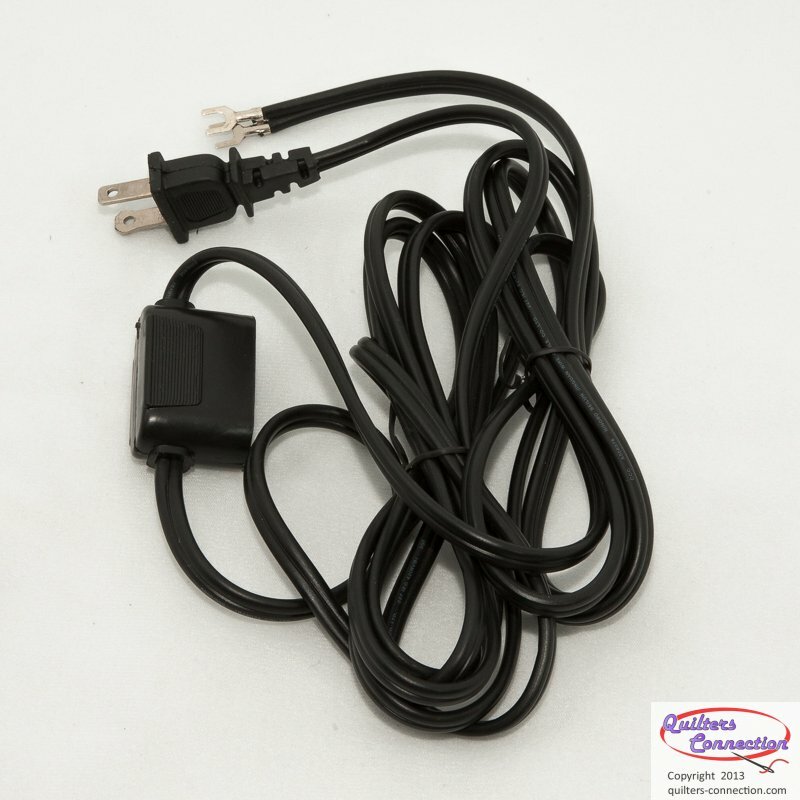 Cord Set, with a molded rubber plug for your machine. Horizontal configuration of the cords helps prevent tangle and damage due to interference with the drive belt. Works on 221 and 222 Featherweights, as well as the Singer 301/301A, and other Singer models that have the Bakelite 3-prong plug socket.